Welcome to V11, the latest version of our industry-leading software. V11 builds on our 35 years of industry experience with new features and improvements. Magi-Cut Intro now includes grain matching options for critical finishes such as cabinet doors and extensive material and board parameters allowing customised optimisation parameters on a per material basis. Magi-Cut Modular benefits from a simplified module structure to make upgrading even easier than before and all optimisers now include our Machining Interface and Parts Library. The Professional Optimiser now also includes destacking and palletisation functionality as standard. Try out V11 Intro and Modular today with our free 30 day trial. Frequently used items can be added to favourites or groups for ease of reference. Automatic context sensitive help is now available in a docked pane on the parameter screens. 3D products created in the product library can now be added to forms and labels via an additional setting on the picture dialog. Multiple cutting list rule files can now be created and selected during optimisation. Changes applied via a cutting list rule are now clearly highlighted. Additional recut data fields are available for display on both Pattern and Batch summaries. The online label designer has been expanded to include the option to add a nested pattern to a label. When printed the nesting on line label displays the entire pattern with the current part / offcut highlighted in white. Groups and favourites – in all selection dialogs and file trees. Parameter screens – Automatic Context Help pane docked alongside. 3D view on product forms and labels. Improved processing speed for large product and machining databases on networks. Cutting List Rules – multiple rules files – highlight of changed fields – use of numeric info boxes. Pattern summary – extra analysis of types of recut. Online label print – show nested pattern picture with highlight of part. Faster processing of flat Woodwop mpr files (if no parametrics or components). If you are an existing user of Magi-Cut at V8.2, V9.0 or V10.0 you can update to Version 11 at greatly reduced prices. V11 includes full copy and convert functionality allowing you to migrate your existing data records from an older version automatically. 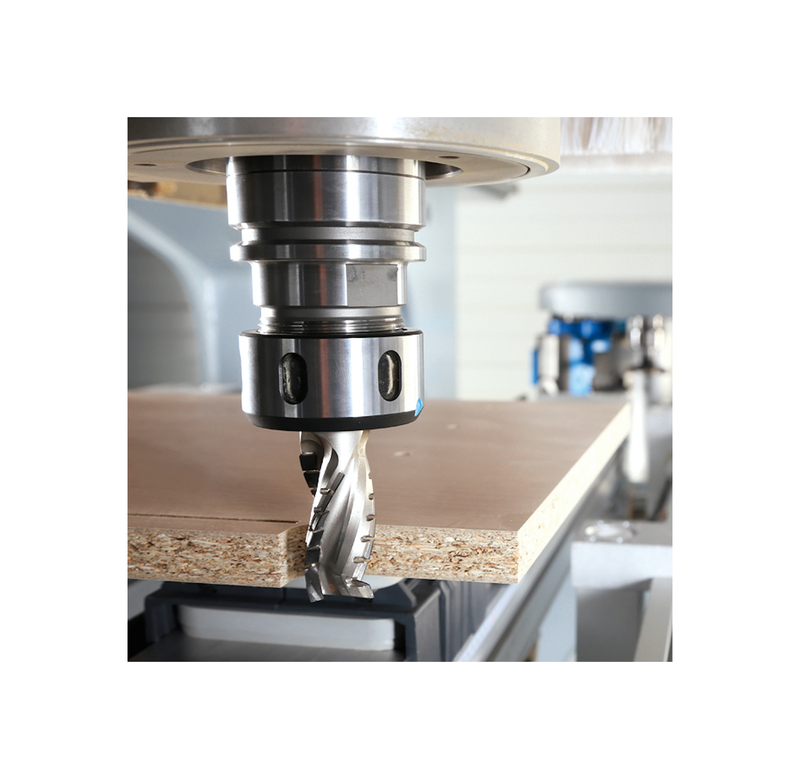 Magi-Cut Modular is enhanced with key features such as machining and saw interfaces for seamless transfer to CNC controlled machining centres and beam saws.